All income earned in Singapore is subject to tax. However, the country has one of the most attractive personal income tax rates in the world. The rates vary for resident individuals and non-resident individuals. Foreigners staying in Singapore for 183 days or more in the year before the YA. In addition, tax residents enjoy tax savings through tax reliefs, donations to IPCs (Institutions of Public Character) and certain expenses relating to the employment and business spend. 0 – 60 days – Employment income is tax exempt if the individual is here on short-term employment for 60 days or less in a year. This exemption does not apply for a director of a company, a public entertainer or exercising a profession in Singapore. 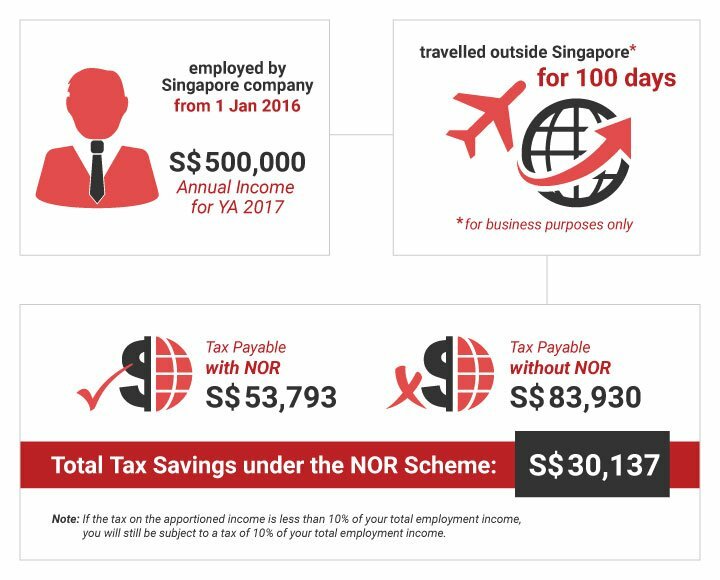 61 – 182 days – The individual is taxed on all income earned in Singapore (no personal reliefs apply). Income is taxed at 15% or the progressive resident rate, whichever gives rise to a higher tax amount. Director fees, consultant fees and all other incomes are taxed at 20%. Need Support with your personal Taxes. File your personal tax returns with Singapore Company Incorporation, one of the leading tax agents in Singapore. Our professional taxation specialists will work closely with you to reduce your tax liabilies and maximise tax savings.